Haunting - Spectrum Paranormal Investigations -Experiencing A Haunting? Before you go running to the phone seeking help from your local paranormal investigation team. 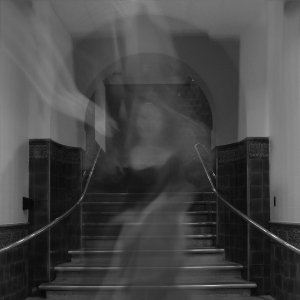 There are a few things that you should do, to establish whether you have a genuine haunting in your home or place of work. Always remember to think logical and rational when dealing with potential paranormal activity. Science and state of mind can convince people what they see and experience is the work of a ghost or spirit. With both physical and mental possibilities explored. If still no reasonable explanations, then these experiences may indeed be phenomena. Cold Spots – Do you notice a significant drop in temperature in a certain spot in your home? Or you’ve felt a small puff of cool wind, even though the doors and windows are all closed. Sometimes these cold spots can be noticeable. Other times you might even be able to see your breath because the surrounding air is so cold. Cold spots are a strong indicator of spiritual activity. Footsteps – Do you hear footsteps along the hallway at night? Or you hear them overhead, upstairs in the kids’ room, yet the kids are at school? If you’ve checked for causes and can’t find a reasonable explanation. There’s a good possibility you have a haunted house. Footsteps are one of the most common occurrences reported by those who live in these houses. Pets – Are your pets afraid to enter a certain room or area of the house? Have you seen them turn and run and cower under the bed? Do they sit and stare at nothing in particular, growl or become aggressive with no clear reason? Animals are particularly sensitive to spiritual contact. They often sense before humans do. Guests/Friends – When you get visitors in your home, do they report feeling uncomfortable or cold? Do they appear fidgety or nervous, unable to relax? Sometimes we become immune to the strange happenings in our homes because we live with it day in and day out. If you notice family and friends acting odd when they visit. It could be because they sense something in your home. Unusual Odors – Our sense of smell is one of the most important of the five senses. Smells or odors are often associated with memories. Odors like dirt, spices or perfume fragrances that appear at uncommon times or places. Can often show the presence of spirits, who got drawn to your home because of past memories. When a loved one has passed away people often report the scent of flowers in the home and often the odor of tobacco. Remember, it’s very normal to feel that you are being watched from beyond the grave. We all have loved ones that have passed away and miss their presence. Your Children – Children are particularly open to sensing and seeing spirits. They’re young and are not conditioned to believe there’s ‘no such thing as ghosts’. If your children are telling you, it’s a good possibility that they’re right. Doors/Windows – Drafts, wind, uneven foundations. These can all cause doors to open without human intervention. But with all those physical possibilities exhausted. If you still have doors opening and closing on their own, then you could have a ghost in your house. How many times have you entered a room and found the window open when you know you closed it earlier? If you’ve tried locking windows so they stay closed, propping them up with something so they stay open. If nothing seems to work, it may be the work of a ghost. Noises – It’s most difficult to determine if strange noises you hear are coming from a ghost in your house. If, they’re a result of your house settling, the wind or an animal caught in the attic. It’s easy to dismiss those bumps in the night. But, if you hear the same sound and there’s no explanation. Especially if other things are happening, your house might have an unannounced visitor. Orbs – Strange orbs of light appearing in photographs that you take inside or around your home? They’re most likely dust on your camera lens or light reflecting off of dust particles in the air. But those orbs can also state the presence of spirits and their manifestations. Poltergeist – Objects moving themselves? If chairs are moving and dishes are flying through the air and the piano is playing by itself. It’s safe to assume you either have a poltergeist or you’re living in a haunted house. EVP (Electronic Voice Phenomena). – Try setting up a voice activated recorder in a room where you’ve experienced activity. If your recorder isn’t voice activated and you have enough courage. Stay in the room and ask questions to see if it has anything to say. Chances are you won’t hear a response to your questions – until you play back the tape. Apparitions – Assuming no one is playing tricks on you and your Halloween costumes are still in the attic. If you see an apparition then your house could have a haunting. It’s easy to convince yourself that it was your eyes playing tricks on you or your own shadow spooked you. But, if you look at a ghost and they look back at you – then assume you are living in a haunted house. What you need to do now is determine if it has good intentions or not. And, if they intend to let you live there in peace – or going to make your life miserable. You have to take into account all factors surrounding your experience. These can range from your state of mind at that present time, to are you familiar with the location. Has this experience taken place somewhere that you already deem haunted? 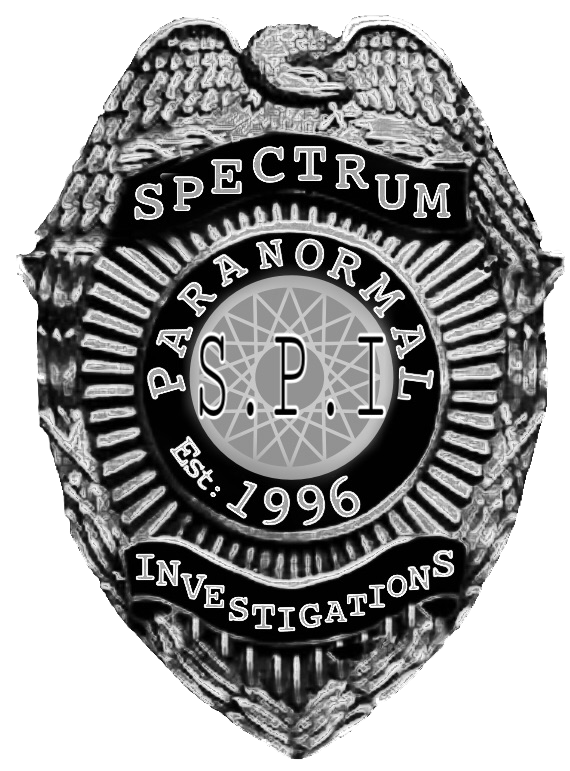 At Spectrum Paranormal Investigations there are a set of protocols in place. These are things we need from all clientele, before taking on a new case. Try to remember as much detail as possible, even though it may have been a terrifying experience. This will help us determine what type of encounter you may have had. It’s recommended you keep a diary of all activity from that moment on. Even though it may seem very insignificant at first. Over a period of four weeks, we would see a pattern developing. Write down anything we should know about. Such things like the times you see objects moving. Even if you begin to smell uncommon odours, in some cases people say it’s a putrid smell, that of rotten eggs. Never try to make direct contact with the spirit using means of communication. Such as Ouija or Seance. Unless trained in these methods. It’s advisable never to be under the influence of any alcohol or drugs whilst trying to perform any of the above. As you have to be sound of mind. Otherwise how could anyone take you serious on this subject? Wicca seems to favored by many, as a way to ward off spirits. And the burning of sage and along with prayer is one such practice. The spraying of salt water in the air, used to discharge negative ion energy. Remember, good positive vibes in your home environment. This helps with creating positive charged energy. This could come in the form of relaxing music. Filling your home with love and happiness when possible and not aggression. This will also stop any negative spirit from feeding on your misery. Read & followed our guide, kept a diary for 4 weeks and still feel you need our services?